O’Neil, the University’s sixth president and a former School of Law professor, died Sunday at his home in Washington, D.C., at age 83. He is survived by his wife of 51 years, Karen Elson O’Neil, his four children and their families, including 13 (soon to be 14) grandchildren. “I am very sorry to hear about Bob O’Neil’s passing,” said UVA President Jim Ryan, also a former UVA Law professor. “Bob was a friend and mentor to me at the Law School, where we were colleagues. I’ll never forget and always appreciate the great kindness he showed to me when I was just starting my career. “He leaves a remarkable legacy. As a law professor, he combined deep expertise in the First Amendment with a love of the classroom, teaching a course almost every semester for 50 years. And as president, he helped make it clear that students from every background and walk of life have a place at UVA. President Emerita Teresa A. Sullivan, who stepped down in July, also remembered O’Neil’s commitment to opening UVA’s doors to people of all backgrounds. “He was thoughtful and generous in everything, and he saw things clearly. All of us will miss him, his kind spirit and his vast knowledge,” Casteen said. O’Neil’s son, Ben, agreed that creating an inclusive educational environment is an important part of his father’s legacy at UVA. The younger O’Neil said he admired his father’s humility, civility and integrity. Despite all of his professional commitments, Ben O’Neil said, his father was a constant, kind and loving presence in his children’s lives. “He was simply one of the kindest and most selfless people I’ve ever known. As hard as he worked and as many professional commitments as he had, he always made time for his family,” he said. 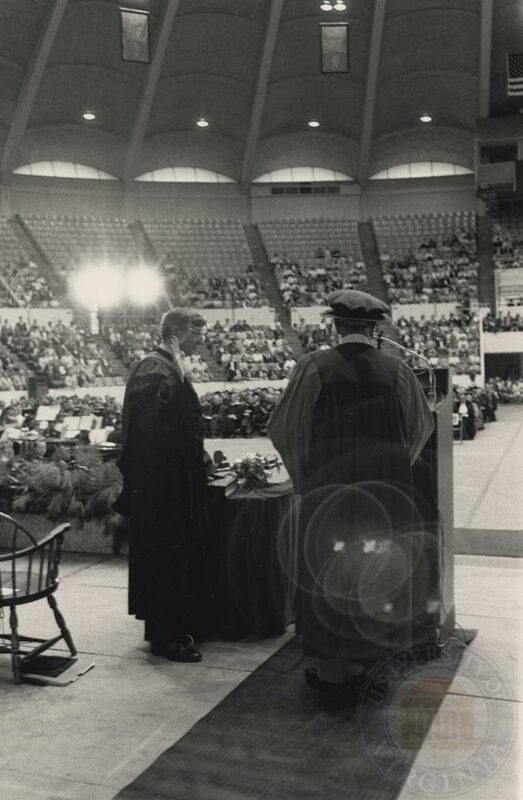 Robert O’Neil, who earned undergraduate, master’s and law degrees from Harvard University and clerked for Supreme Court Justice William J. Brennan Jr. in 1962, came to the University in 1985 after serving as president of the University of Wisconsin system. 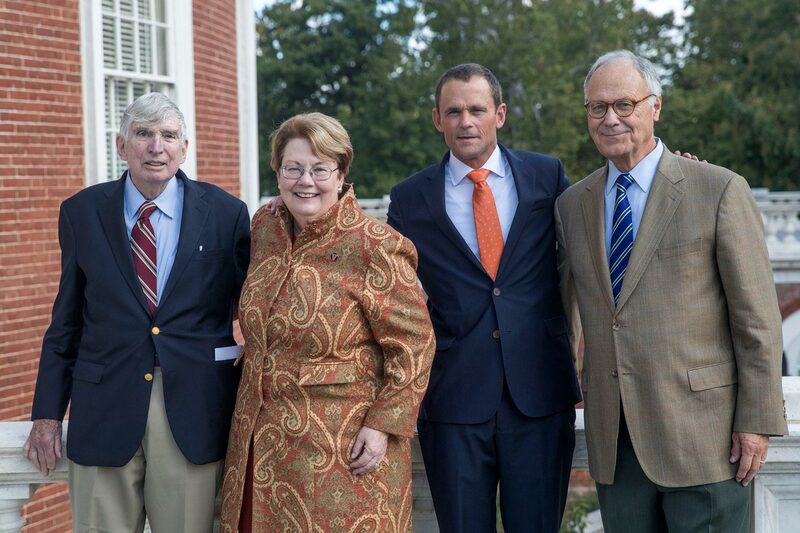 He served as UVA’s president until 1990 and taught at the School of Law until his retirement in 2007. Even after retirement, he continued to teach the First Amendment Clinic at the Law School and serve as founding director of the Thomas Jefferson Center for the Protection of Free Expression, a position he held from 1990 to 2010. 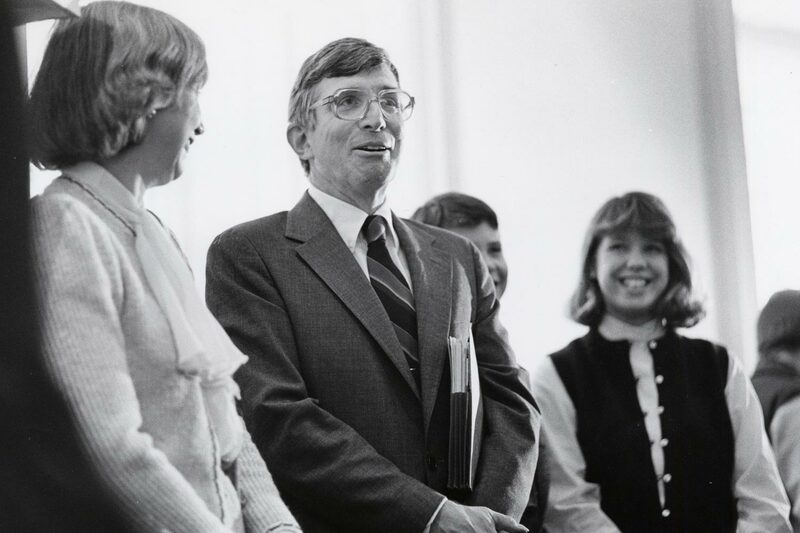 As president, O’Neil played a key role in welcoming underrepresented groups to the University’s faculty and student body, including African-Americans, women and those with disabilities. Under his leadership, the University increased representation of African-Americans and women on the faculty, established the Holland Scholarships to attract African-American students, opened what is now the Maxine Platzer Lynn Women’s Center, opened a day care center for employees’ children and established task forces studying the status of women and minorities at the University. In an article at the time of his retirement, O’Neil himself cited such progress as one of the key accomplishments of his presidency. At the Law School, O’Neil was renowned for his expertise on the First Amendment and free speech and his commitment to teaching. He taught classes on constitutional law, free speech and the press, and church and state. Even during his 20 years as a full-time administrator at UVA and other institutions, he continued to teach at least one class a semester. Teaching for a total of 50 years, he mentored hundreds of students and authored dozens of articles on academic freedom, affirmative action, free speech and religious liberty. O’Neil also dedicated significant time and energy to the Thomas Jefferson Center for the Protection of Free Expression, a nonpartisan, nonprofit research and policy center in Charlottesville that he directed for 20 years. The center offers a wide range of programs in education and the arts and actively participates in judicial and legislative matters involving free expression. O’Neil also directed “Difficult Dialogues,” a Ford Foundation program that uses events, programs, training sessions and courses to facilitate difficult discussions at college campuses across the country, protect freedom of expression and academic freedom and expand opportunities for constructive dialogue among those with different perspectives. “I think my dad would want to be known as someone who, both as president of the University and in his 25-year career as a professor at the Law School, tried to pass on to students Thomas Jefferson’s most cherished ideals of individual liberty and religious freedom,” Ben O’Neil said, noting that his father often referenced Jefferson’s choice to list his authorship of the Declaration of Independence and Virginia’s Statute for Religious Freedom and his founding of the University of Virginia on his headstone. “My dad felt Jefferson’s desire to rank these accomplishments over even having served as president of the United States reflected that the ideals in those documents were what the University should stand for,” he said. In addition to his many roles at UVA and other universities, O’Neil served as president of the Virginia Council for Open Government, chair of the Council for America’s First Freedom, director of the Commonwealth Fund and the James River Corp., and chair of the American Association of University Professors Committee on Academic Freedom and Tenure. He served three terms as general counsel of the American Association of University Professors and chaired several committees there over nine years, including several special subcommittees on academic freedom and one on the impact of hurricanes Rita and Katrina in New Orleans. He also chaired the National Association of State Universities and Land-Grant Colleges, a commission on the future of Virginia’s judicial system and a commission of the Markle Foundation on media coverage of presidential elections. He was a consultant to the Association of Governing Boards of Universities and Colleges and served as a trustee for the Carnegie Foundation for the Advancement of Teaching, the Teachers Insurance and Annuity Association, WVPT Public Television and the Piedmont Council for the Arts. The O’Neil family is planning a memorial service to be held Nov. 18 at the Cosmos Club in Washington, D.C. They request that memorial contributions be made to the American Association of University Professors or the American Civil Liberties Union.